Finding friends is a big part of life. I remember one of the days from my first week of kindergarden when I was playing with those little, wooden interlocking train tracks and trains. I little boy named Aaron came over and started playing with them, too. Then he looked at me and asked, "Do you want to be friends?" I replied, "Okay!" At that point we proceeded to play with the trains together. When I got off the bus that afternoon I ran down our driveway, through the front door, straight to my mom and declared, "I made a friend today!!" It makes such a huge difference in life to be with people that you connect with, who care about you, and want to spend time with you. We've been really blessed to get to know several other couples here through the language school, but we've spent more significant time with two other families in particular. Our incoming class was pretty small this trimester, so there was actually only one other married couple besides us: Jeremy and Sara. They have two daughters, Johanna (3) and Allison (1.5). We were pleasantly surprised to learn that Jeremy is going to be the Associate Pastor at EFC, an english-speaking church in Quito, Ecuador! Go figure. 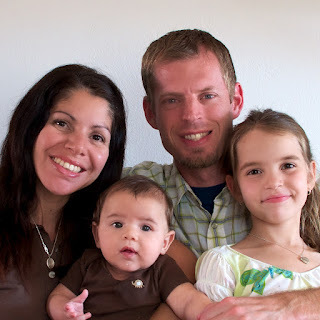 The cool thing is that Youth World has a lot of strong connections with EFC-- several Youth World missionaries attend there, Suzy went a few times when she was there in 2005, and the husband of Suzy's former roommate in Ecuador, Roberto Vivanco, is the Worship Pastor at the church. Small world, eh? We've had the chance to spend a couple of evenings with Jeremy and Sara and have really enjoyed getting to know them. It's also neat knowing that we'll essentially be serving in the same place, so our relationship with them can continue beyond Costa Rica! We've bonded on a couple of fronts thus far: 1) Jeremy lived in New York as well and is a Yankees fan-- just like us! 2) They enjoy playing games such as Settlers of Catan, Ticket to Ride, Carcasonne, and many others like these. For those of you who have never played any of those games, they're quite fun and we'd love to introduce you to any of them if the opportunity ever presented itself! And for those of you who have played any of them before, you know how enjoyable it is to have others to play with! The other couple we've really connected with is Cody and Maria. 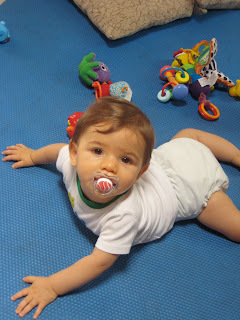 Cody and Maria have a daughter, Isabela (7) and a son, Jake (8 months). 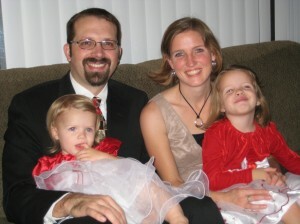 They also had a daughter, Susanna, who went home to be with Jesus in February 2011. She was 4 at the time and had been battling stage 4 neuroblastoma cancer. Cody and Maria previously served in Haiti for 2 years and are now here so that Cody can study spanish (Maria is from Puerto Rico and Spanish is her first language). They plan to serve in Leon, Nicaragua and live right next door to us, so Suzy has taken advantage of speaking to Maria in spanish occasionally for additional practice while I'm at class. We had dinner with Cody and Maria the other night and heard a bit more about their story and Susanna. It's incredible to see their response to such a heart-wrenching experience. Clearly they would love to still have Susanna here with them, but they remember her with such fondness and rejoice in the fact that she was so vocal about her love for Jesus and desire for others to know Him. For such a small child, she had a very mature understanding of what Christ did for us. We know that she is home with her Heavenly Father, and though they don't know why she had to go, they rest in God's hands, finding their place and strength in Him. So, we praise God for friends! There are others as well, but I thought I'd just highlight the 2 families we've connected with most deeply thus far. It's amazing to see how God leads His people, and we're privileged to know many who are answering His call to spread the Good News all around the world! What is life like in Costa Rica?